On Sept. 30, the Commonwealth of Kentucky filed a Verified Claim and Statement of Interest or Right in Property Subject to Forfeiture In Rem in the U.S. District Court of the Southern District of New York. The claim was filed by the Commonwealth of Kentucky, on behalf of J. Michael Brown, Secretary Justice and Public Safety Cabinet ("the Commonwealth"). 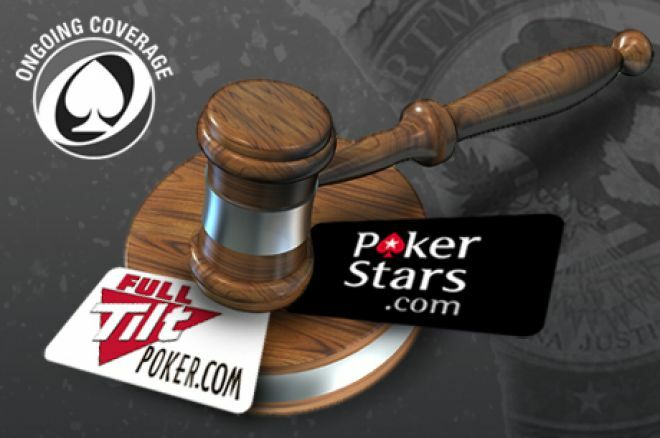 The statement of interest claims "all right, title, and interest in the following Internet domain names: pokerstars.com, fulltiltpoker.com, absolutepoker.com, and ultimatebet.com." It also claims "the proceeds from any sale or disposition of said domain names." The Commonwealth of Kentucky declares that is "is the true and bona fide sole owner of the property and entitled to possession, and that no other person is the owner of or entitled to possession of the property." In 2008, the Kentucky filed an in rem forfeiture action in the Franklin Circuit Court against 141 Internet gambling domain names, including PokerStars.com, FullTiltPoker.com, and UltimateBet.com. The action was filed to "stop illegal Internet gambling that is occurring within the Commonwealth, in blatant disregard for and violation of Kentucky anti-gambling law and public nuisance law." Kentucky seized the domain names in the 2008 forfeiture action "by reason of its having been victimized, both in its capacity as a sovereign state and in its parens patriae capacity with statutory authority on behalf of its citizens, by Defendants' actions, including those actions as pleaded in the Amended Complaint filed herein by the United States, and as pleaded in the Kentucky Forfeiture Action. That the commonwealth be awarded such other and further relief as the court may deem just. Dockets.Justia.com has the full claim. Plans for Intrastate Online Poker in Washington, D.C.